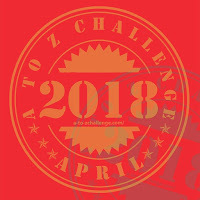 Welcome to the 2018 Blogging from A-Z challenge! This year I have decided to write about birds. But to keep it topical to the "Amybeads...and birds!" blog name, I'll also be making a new pair of earrings for every day of the challenge! There will be a giveaway at the end of the challenge, all you have to do is comment on any A-Z post and you will be entered into a drawing for seven pairs of earrings. Without further ado, the bird I have selected for the letter A is: Accipter Cooperii. 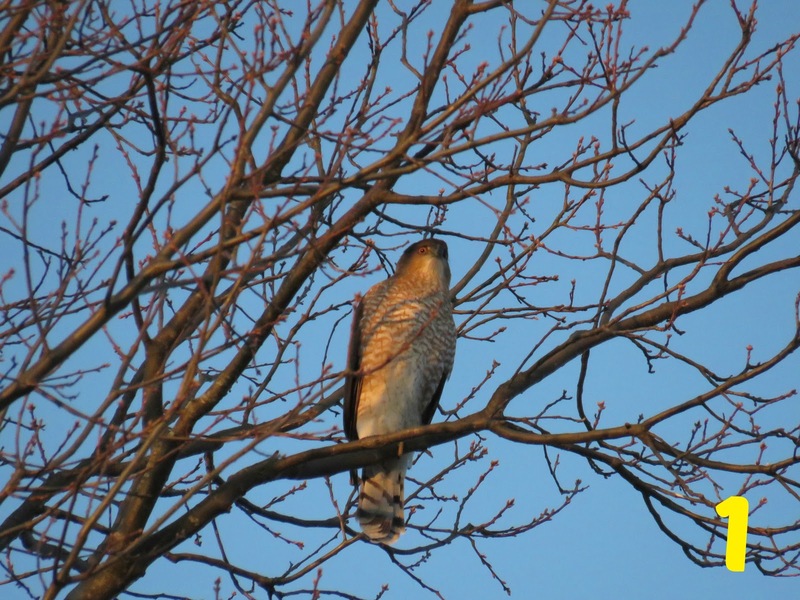 Or otherwise known as a Cooper's hawk. 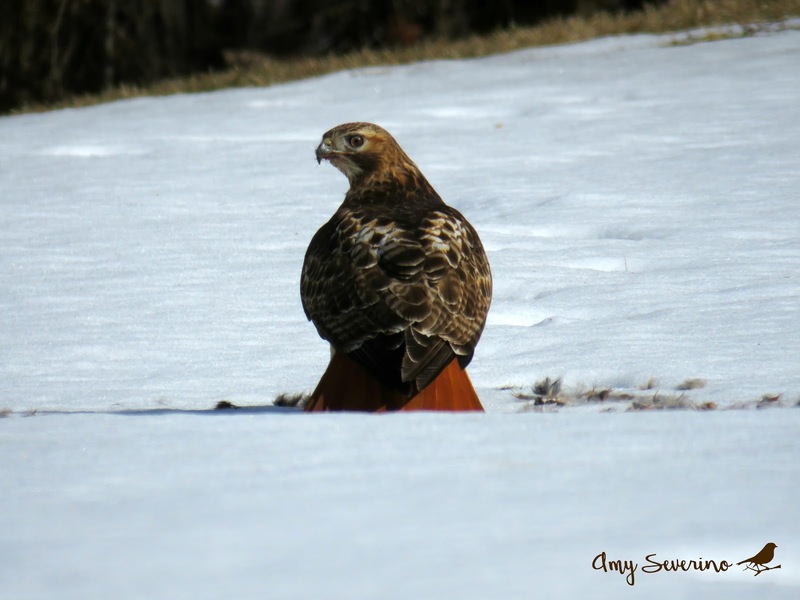 Hawks are incredibly common in New England, and the most common variety is the red-tailed hawk. So common, that unless I'm going to get an incredible shot (like this one below, with the hawk practically bragging about it's gorgeous red tail, having just had lunch....), I often don't even stop for a red tailed hawk. But when I see a hawk that is NOT a red-tailed hawk, I stop! Not only do I stop, sometimes, I will circle a shopping center many many times, to the chagrin of my teenage son, just to get some looks and some photos. The map above, represents a moment (okay, it wasn't a moment, it was more like 15-20 minutes) when I spotted a Cooper's Hawk. I had actually stopped at this parking lot because I saw one of my favorite birds, the cedar waxwing (which we'll talk about when we get to the letter "C"). I parked, reached into the backseat to get my camera and when my eyes returned to the spot where the waxwings had been perched, in its place, was this beast! 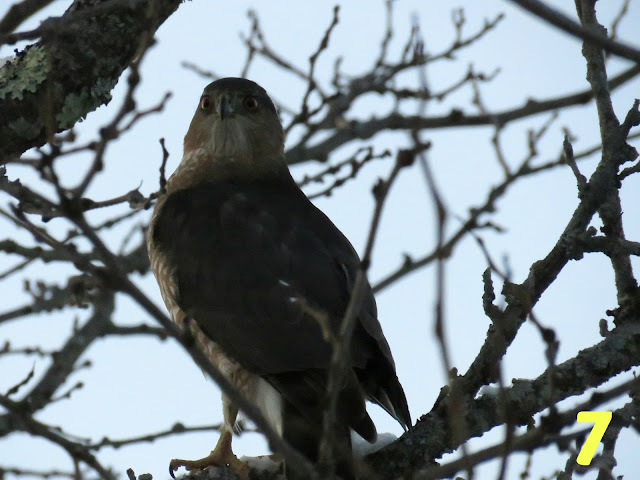 I knew right away, with my naked eye, it probably wasn't a red-tailed hawk, because they eat small mammals, whereas Cooper's hawks tend to eat other birds. 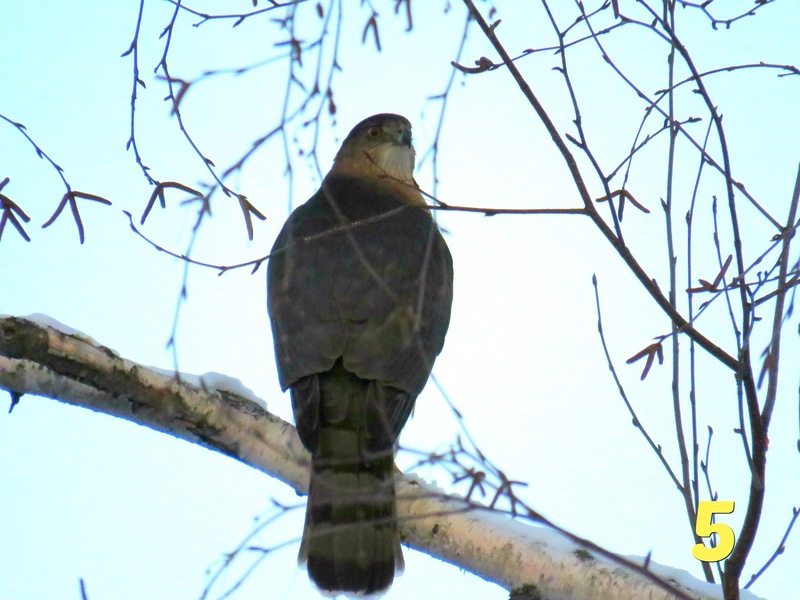 When I zoomed in with my camera (position 1 on the map) I could see all the differences and new I had a Cooper's hawk in my sights! 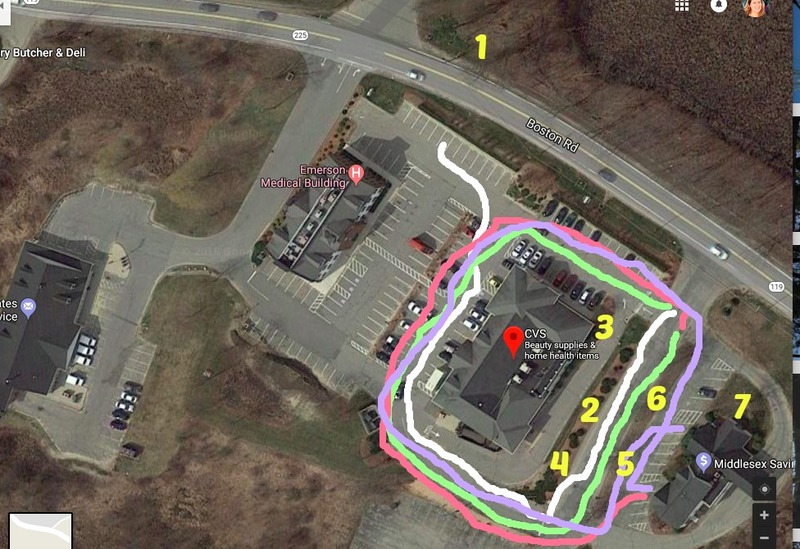 So the hawk proceeded to fly away, and I thought that was the end of it, until I began exiting the CVS, only to see it was perched on a tree with low branches between the CVS and the bank (position 2 on the map)! So I circled around again (it should be noted that the CVS parking lot traffic is one way counterclockwise, so during this little incident I was never able to just turn around I had to keep driving around the entire CVS! LOL). This went on and on with the hawk flying from tree to tree and me circling and trying to find a place to pull over and take a quick pic only for it to fly away again and then me notice it again. Finally, it landed on the tree on the bank side of the exiting driveway and I was able to hop out of the car with my camera and take a few snaps and simply walk around the parking lot as it went to the trees in positions 5, 6, and 7 on the map! If you have gotten this far in this silly anecdote, thank you for hanging around so long! 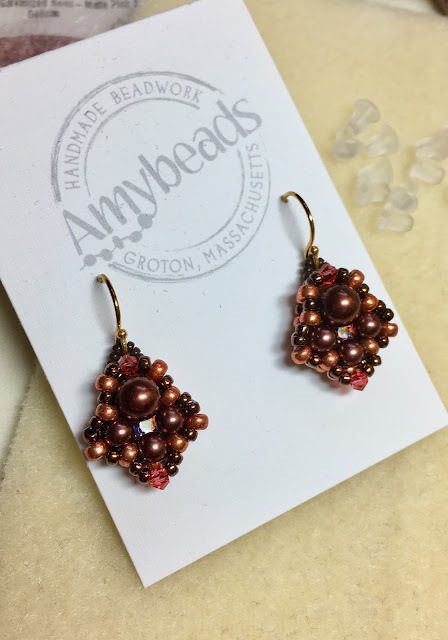 Now for the beading portion of this post, here is a pair of daily challenge earrings! These were made from Gwen Fisher's pattern, Iris Drop Beaded Earrings. 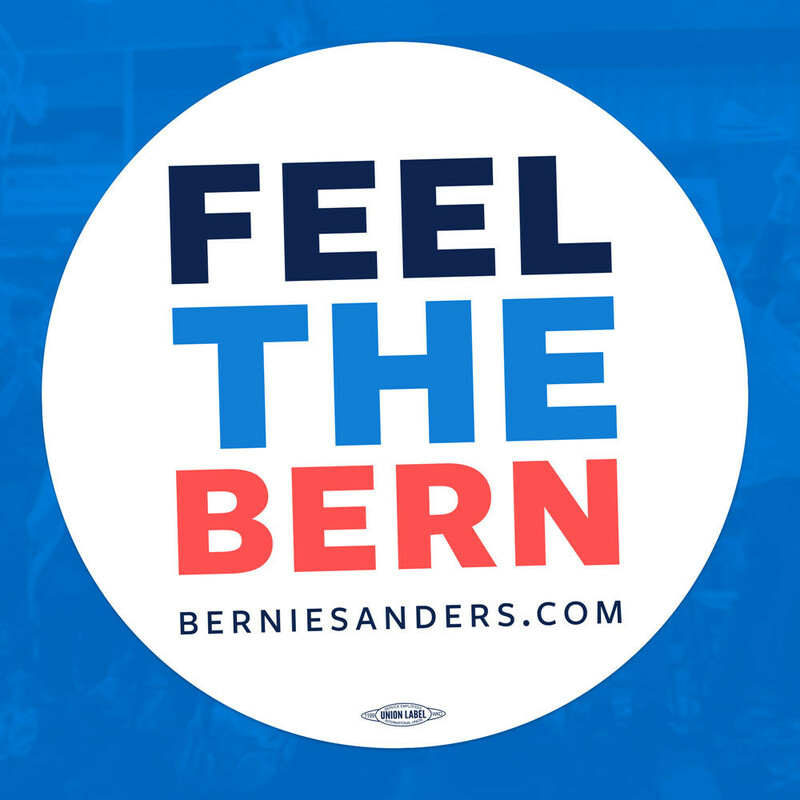 I hope you'll join me tomorrow for the letter "B". ha! I can only imagine your son rolling his eyes at his mom running around the parking lot after a bird! my girls would be fairly annoyed with me ... for sure. However, I enjoyed birding with you up at my camp ... that we'll have to do again! Love your story and map! I'm excited to come back every day all month long. Your pics are amazing. I notice birds but I just never seem to have my camera on me or I'm afraid to try and stop as it's usually not very safe or convenient to do so. Those earrings are beautiful too. You have mad bead skillz. Those are pretty earrings. I am a fellow jeweler and birder. We get red tailed hawks and the occasional Cooper's around here too, rural northern Michigan. We even get the occasional bald eagle. I had a bald eagle fly over our house on the 4th of July! I'm getting ready for hummingbirds now. What a fun challenge you've given yourself to not only share the birds but your beautiful jewelry too. Your passion for both definitely shows. Great bird to start out with and funny visual in my head of the parking lot antics! Love the colors of your earrings!